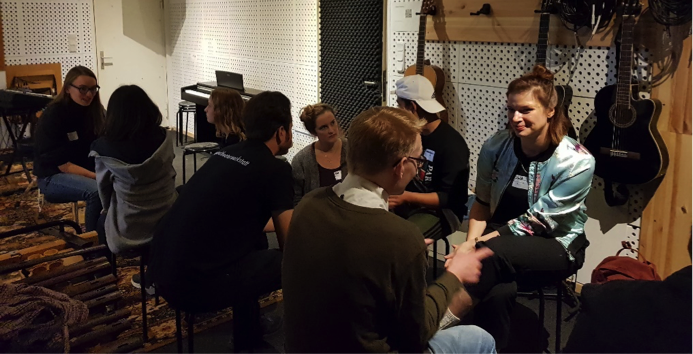 In the course of fighting sexism, we were part of the BarCamp (A non-Conference) event which took place at JTW Spandau on the 29th of September 2018. We were able to conduct one of our events, the “Political Speed dating”, with the young students who attended and participated in the BarCamp. The participants discussed many issues related to sexism and migration. For instance, the participants gave their opinion on whether gender or sexuality play a role in shaping one’s identity. Moreover, the participants expressed their opinion about dialogue and agreed that dialogue is useful and needed. As organizers, we were happy to see the level of awareness our young participants had! We are looking forward to conduct more events with young students in the future!